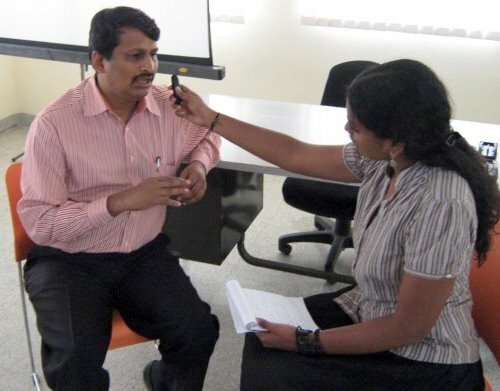 Dr S Manivannan, CEO, Medicall, the largest organiser of Medical equipment exhibition in India shared his views on the 'event management' with the participants of Business Communication course at Bharatiya Vidya Bhavan on 29th August 2010. Ms Janani, one of the participants interviewed him on various aspects of event management, including the challenges. Please listen to his interview by clicking 'play' button in the flash player. The audio streaming will be smooth in broadband connections. If you face any difficulty in audio streaming, you may download the audio in mp3 format, by right clicking this link and saving to your desktop. This podcast interview may also be listened from the following link.